Foreign Returned. Even now, some of the matrimonial ads in India use this phrase as a qualification of the prospective bride or groom. The crème de la crème of the society get to visit “the foreign”, and it is something to be proud of. उनके फॉरिन मे बहोट कनेक्षन्स हेई – He has a lot of connections in “foreign”. English has also been a status symbol in India, I am sure the roots lie somewhere in the British ruling India a few decades ago and how only the elite got to mingle with the white folks. Needless to say, I was enchanted by everything related to this “foreign” culture as a kid growing up in India. My mom worked as a librarian and she would bring books and magazines for me to read. One day, a foreign returned patron of the library donated some magazines and my mom brought home what became my manual for the foreign countries – old issues of the Gourmet Magazine. I remember immersing myself into this world of spotless kitchens with shiny appliances, foods unlike anything I had ever seen and chefs dressed in all whites! And the special on Wedding Cakes. I had never seen a wedding cake before which is not a tradition in Indian weddings. I was mesmerized by these majestic cakes that were taller than me. We didn’t own an oven at my home and my mom didn’t know anything about baking. My early curiosity about wanting to bake a cake was quashed on the account of such baking requiring eggs – a taboo in our family of vegetarians. In the pre-Internet era where my social circle only revolved around even stricter vegetarians, there was no other avenue for me to learn how to make a cake. So I waited patiently for years; my lucky break happened when I fell in love with a Christian boy, whose family baked cakes regularly! Looking back, I think the cakes might have played a big part in my falling in love with Anup. Even so, in a conservative society, you don’t just ask your mother-in-law how to bake a cake; first you get married. So after drooling over those magazine pages for years, I finally got to bake a cake with Florence, Anup’s mom. And what joy! Seeing that cake rise in the oven, almost to the point where you worry it’s going to spill over, now that was worth waiting for! My 40-some cousins in India read my blog regularly, and they have one complaint – why do I use the oven so much! I wanted to make a cake they can create in their home kitchens without an oven. What’s more, this recipe doesn’t use eggs, so I am sure to earn some vegan brownie points with them! Having trouble eating your carrots? Have a slice of this cake, it is loaded with farm bought, organic carrots! I have also replaced the processed sugar, white flour and butter in the traditional carrot cake recipe with almond flour, honey and ghee goodness. 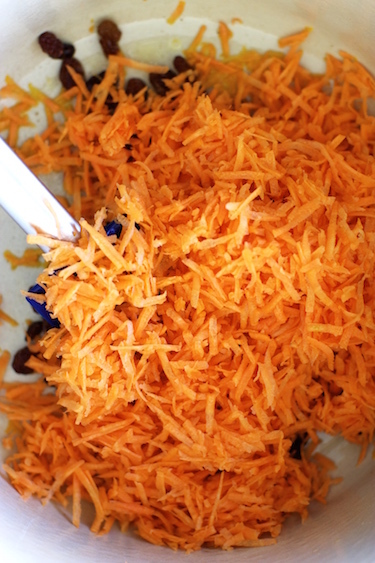 Cooking grated carrots in ghee brings their sweetness out, so you don’t need to sweeten the cake much further. The frosting is made from coconut cream with some lemon and honey for tanginess, which makes it taste just like cream cheese with a subtle nutty flavor of the coconut. 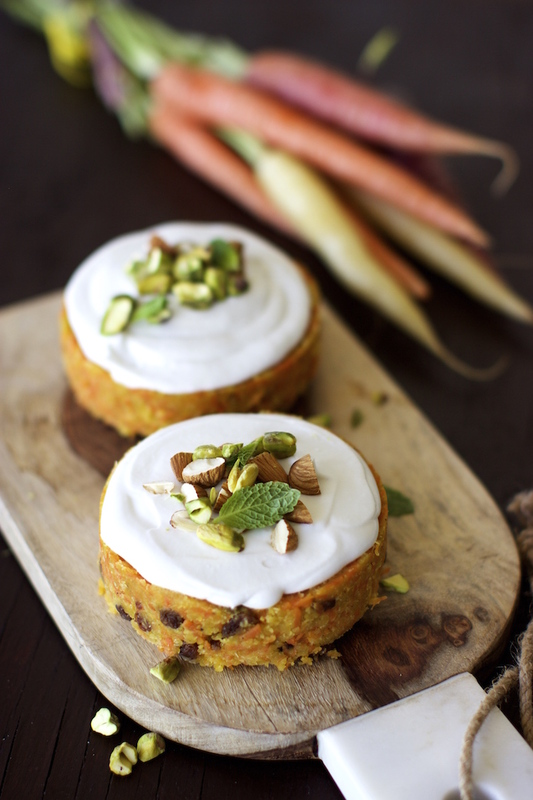 Hope you try this light and flavorful carrot cake recipe! Heat the ghee/coconut oil in a pan. 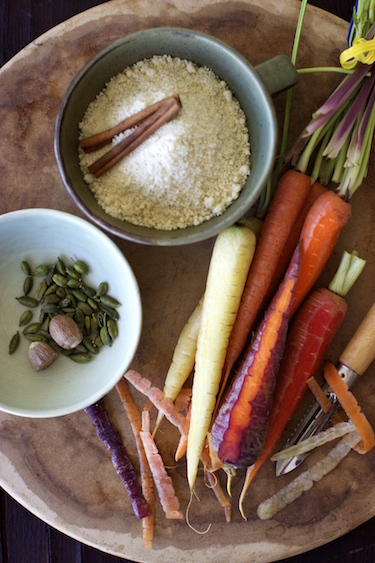 Add grated carrots, mix well and cook for 10-15 mins on medium heat until carrots are half cooked. Stir occasionally to prevent from sticking to the bottom of the pan. Now add honey, raisins, cinnamon, ginger, cardamom, nutmeg and vanilla extract. Mix well, cook for 30 seconds until fragrant and take the pan off the heat. In a large bowl, combine almond meal, shredded coconut and pinch of salt. Add carrot mix to the bowl and mix well with spatula or hands until everything is evenly mixed and the mixture becomes chunky and sticky. Add couple of tbsp of cold water if needed. Place mixture in a springform pan; you can also use regular cake pan covered with saran wrap. Flatten out and press down the mix with your fingers or back of a spoon tightly. Refrigerate coconut milk can for at least 4 hours or overnight to separate coconut cream from water. 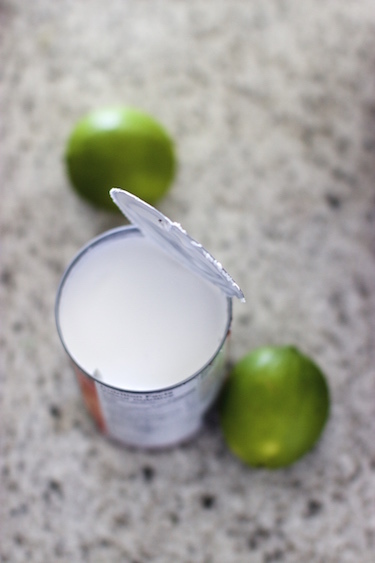 Open the can and carefully scoop out coconut cream solids from the top. Add honey, lemon juice and pinch of salt. Whip the cream by hand or blender until fluffy. Spread the coconut frosting on top of the cake and garnish with chopped nuts. Put the cake in the fridge for 30 minutes to set or serve warm if you prefer. Cake will keep good in the refrigerator for up to 5 days. Totally loved this no bake cake. I will definitely try it soon!!! Thank you Malar, Let me know how it turns out! Medha, thanks for the recipes and great stories in your blog. From the time I stumble upon your blog I look forward to your recipes! Thank you Carmen for stopping by, I do appreciate it! Thank you Adeti, I am so glad you like it! I love this idea, and your photos are gorgeous! Not only the good recipes or beautifully styled photographs , I love to read your blog! Every recipe comes with a nice story! Thank you Tara! My cousins are saying “I told you so”, right about now! WOW these cakes are incredible! And so healthy too! This is definitely a raw recipe I will be saving to recreate. Thanks Thalia. Just to clarify, the carrots have been lightly cooked in Ghee, so technically this is not a 100% raw recipe, in case you are on a raw diet. Cooking the carrots in ghee brings out its sweetness, so you won’t need to sweeten the cake further. Thanks Laura! Hope you try making it! Lovely! These cakes look absolutely delightful! I love ‘healthy desserts’! Thank you Ellie! India overwhelms me sometimes, and I was born and brought up there – so it is always fun hearing the outsiders’ perspective of India! I have tried so many of your dishes and was egar to try this one, the cake turned out ok. It tasted great but was not firm, what did I do wrong? I used almond flour not a mixed almond flour. I look foward to reading your reply so I can correct and try to recreate the cake. Hey Danielle, thanks for trying out the recipe. I am a bit surprised you had an issue with the firmness of the cake because the recipe doesn’t use much liquid. One thing I can think of is the viscosity of the honey. If you try making the cake again, may be add the honey gradually – 1/4 cup at a time to the mixture, keeping an eye on the firmness. Another thing I would suggest is to refrigerate the cake to let it set for a while before you serve. I had used pure almond flour as well, so I don’t see that being an issue. Hope this helps, and thanks again! oh my gosh! i love carrot cakes but i don’t have an oven in my new place! i can’t wait to try this out!! Thank you Saga, Let me know how it turns out! 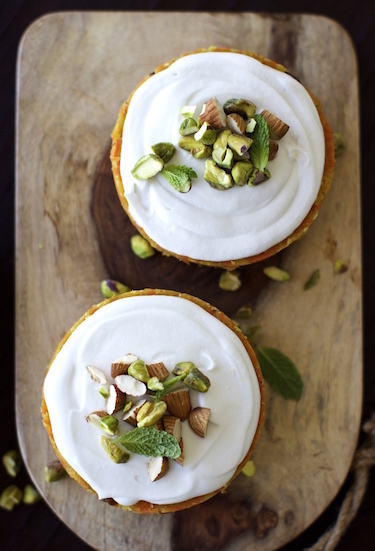 Medha, today I got the chance to visit your website and I absolutely loved it, while you’re narrating the stories, it brings out so many memories, fills the heart with warmth.Besides, I cant wait make to carrot cake with this recipe. Thanks Nirali, I am so glad you like it! 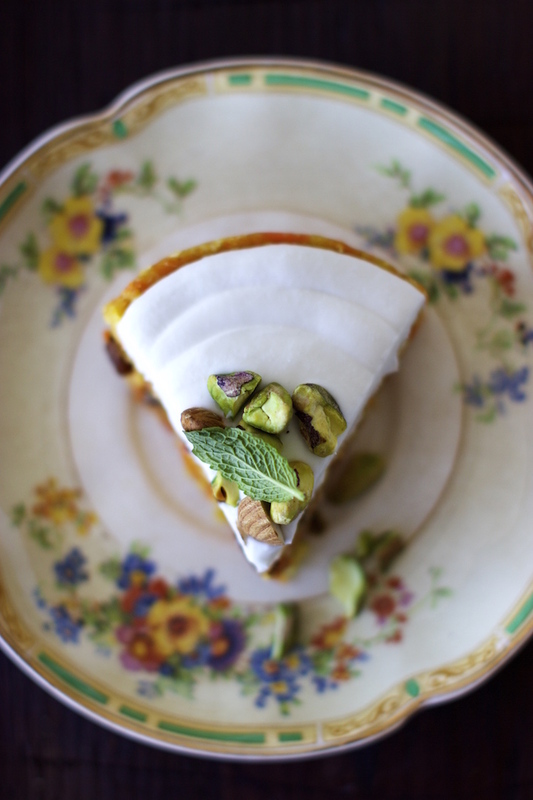 Oh my gosh, a no-baked carrot cake! So genius — this looks so good. And that first shot with the garnish is so beautiful! Hello! I am very excited to make this cake, especially the coconut cream because I am lactose intolerant. One question – would it be ok to substitute the ghee/coconut oil with margarine? If so, would you suggest melting the margarine first? Hello Brenda, You can easily substitute ghee/coconut oil with other fats. If you are using margarine, melt it in a pan on lower heat and than add grated carrots to it. Is almond meal the same as almond flour? I don’t like carrots can you recommend a substitute that would work with this recipe? Keep it simple. Mother Nature has already done all the hard work and given us great tasting ingredients. Your job as a cook is to start with the freshest seasonal produce and not to mask it by overcooking. Let the natural taste of ingredients from the farm shine on your plate, and take all the credit for nature's work! That's what I do on Farm on Plate! Get notified about New Posts!